ADOM :: 40 Years of loss: Where do we find our hope? 40 Years of loss: Where do we find our hope? 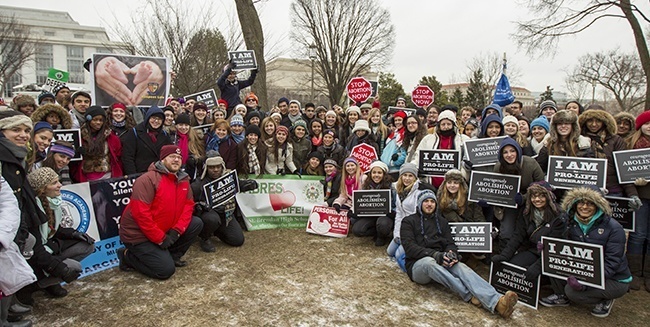 Some of the more than 130 high school students from 11 Catholic schools in the Archdiocese of Miami who went to Washington, D.C., pose for a photo after participating in this year's March for Life. This is the 40th March for Life – which protests abortion – and it is also the 40th anniversary of the U.S. Supreme Court decision legalizing abortion nationwide. How I felt when I heard the news on the morning of Dec. 14, that 20 innocent school children had been killed, is the same feeling I have when I stand outside an abortion mill in prayer knowing what is happening inside. 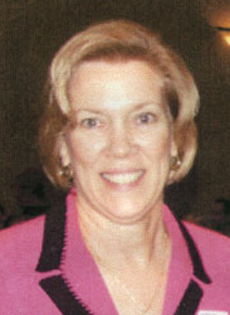 It’s the same feeling I had when I listened to a former Planned Parenthood worker, who recently spoke at St. Malachy Parish, tell us how she entered a procedure room and saw a jar full of arms and legs and still denied that they were killing babies. I have to ask: Is anyone there? Does anyone see what I see? Does anyone care? On January 23-26, 130 students and chaperones from 11 archdiocesan Catholic high schools will represent the Archdiocese of Miami at the national March for Life in Washington, D.C., as part of a four-day pilgrimage. As we march this year our hearts will be heavy as we contemplate the sorrows of our country; most especially, the loss of the children, born and unborn. At our first stop, the National Holocaust Museum, we will be reminded of the atrocities of another day. We will see an actual cattle car which was used to carry the Jews to their deaths and we will wonder aboutood people in the churches near the railroad tracks who heard their cries but chose to sing a little louder till they could hear them no more. Are we those people today? Our retreat day on the pilgrimage will challenge the students with the task of solving actual court cases involving the life issues. They will have to be judge and jury and come up with a verdict after being presented with the evidence. Only at the end of each case will they learn of the shocking actual verdicts. One of the cases involves a young mother who was beaten by her baby’s father when she was eight months pregnant. The mother survived but the baby died. Because they lived in a state with no unborn victims of violence law (such as Florida) the man could not be charged with the death of the baby. Then, as we march in the bitter cold, I will be praying, not only for our country but for each of these students, their parents and the generous donors who sacrificed so much for them to attend our pilgrimage. In these young people I find hope. Because of the faith that we nurture in them today, because of the spark that will be ignited in their souls to speak out for those who cannot speak for themselves, I pray our future will be different. In this Year of Faith Lord, help us stop the killing....May we make serving others part of our daily lives. When we reach out in compassion to help a neighbor in need, we are bearing witness to the light of Christ. And in that light, we will find our hope. Click here to read the Florida bishops' statement on the 40th anniversary of Roe v. Wade. Prolife people all feel the loss of the unborn. Apparently our consciences run deeper than the indifferent Americans. Keeping Hope alive is the real challange & also encouraging our youth to pick up the "banner for Life" and save the future of our Country. America will have to kneel before God & beg for mercy for the 55 million dead babies. Pray, pray, pray. God has been pushed out of our government and We are facing the wrath of Obama. A very touching post. We cannot be silent any longer. We need to pray that bishops, priests, and laity will all have the faith and courage and compassion to speak out against abortion. We need to help women in need.